While walking around the office, have you ever noticed those big screens they have in some departments showing vivid-colour graphs and numbers? Those screens are there to bring the famous KPIs (Key Performance Indicators) in front of the eyes of everyone involved. They are there to remind what the goals are and how well we are doing towards them. The same way the guys from Customer Support, IT or bookings department they have their own KPIs, we are bringing the KPIs to measure how the people in the organisation are feeling on a daily basis and what are the main topics they care. 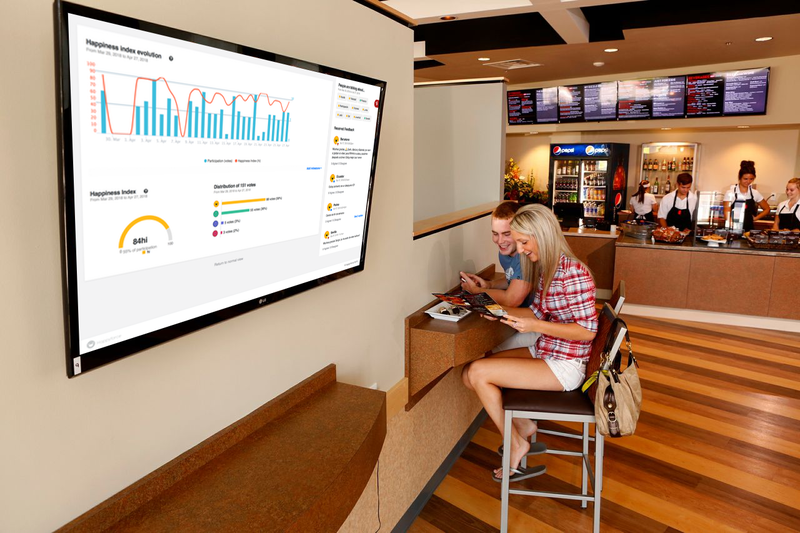 Bring everybody onboard showing the Happyforce dashboard in TVs located in strategic areas of your company: the watercooler, the cafetería, the dining room, wherever. Letting the employees know that you care about their participation and feedback is the first step and the easiest one towards building a culture of feedback in your organisation. 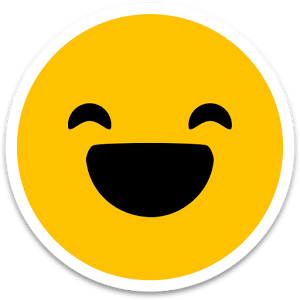 Making visible the Happyforce Dashboard to everyone will have a positive impact on employee activation, participation and engagement. Use the "Fullscreen View" option located at the bottom of the dashboard. For large organisations remember that you can filter the dashboard to show just one area of department.